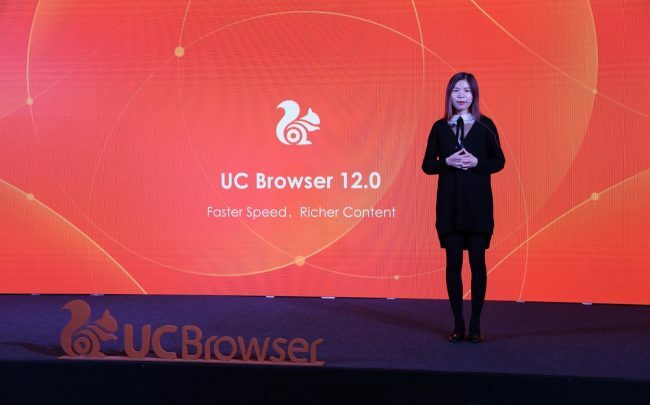 UCWeb has launched today new version UC Browser 12.0 for India market which supports faster video content consumption on mobile and consumes 50% less data and buffers with zero time lag. According to UCWeb, content consumption on UC Browser has been on a steady rise. The browser has witnessed 50% growth in page views on UC Browser’ news feed from 2nd Quarter to 4th Quarter in 2017 in both India and Indonesia markets. Keeping this in mind, UC Browser has upgraded from a traditional tool-plus product to a content distribution platform powered by big data technology. It provides Indian users with numerous content of diverse genre in the form of photo, text and video. UC Browser’s ‘Be Smart’ feature uses big-data technology to cater to user’s demands with personalized recommendations and rich content. UC Browser 12.0 gives users a refreshing experience with its new features and will now make video watching more joyful. The users can save over 50% internet data while watching videos, which can play without buffering and can be watched while it is downloading. There is automatic switch definition and a video preview feature as well. The new version guarantees better viewing experience for lower-end phones. It optimizes video loading and downloading of top sites and pre-loading of video information flow. With the addition of the Smart Weather and Smart Zodiac Signs feature, browsing is now more personalized as stated by the company in its press statement. – Supports Multi-tasking – User can now continue to watch a video and browse simultaneously – the video plays in a small window. UCWeb also announced today that UC Browser has crossed 130 Million Monthly Active Users (MAUs) in India as of January 2018. UC Browser, with a leading market share of over 43% as per StatCounter, is the sixth-most downloaded app in India and the only one in the top 10 that is not a social media or entertainment App, according to reports from Mary Meeker and Kleiner Perkins. I guess now the video downloading will get more faster after the launch of this browser. We all know that UC browser saves a lot of downloading time and is a lightweight browser. Nice article.